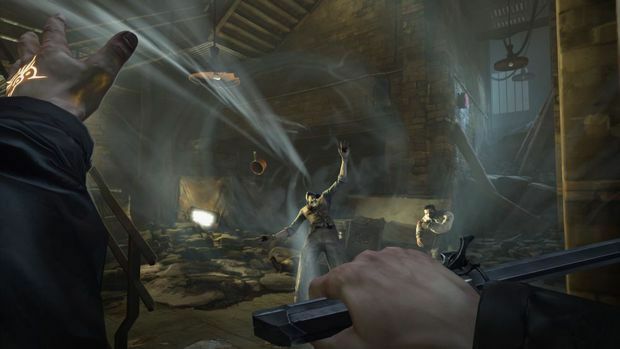 QuakeCon Preview: Dishonored is still amazing. Who knew? For a game as rich with ideas and exciting as Dishonored, it sure does demo poorly. It's the price a game pays when it tries to achieve a real sense of player agency, an original setting, and unique game mechanics. Though the game is inspired by Thief and BioShock, it feels brazenly new. Though developer Arkane Studios could limit the player options for a demo, I applaud their courage and honesty in saying, "This is the game. Deal with it!" Luckily, I played the game a bit at E3 a couple months ago so I wasn't as hopelessly lost as some others at QuakeCon. I still botched the mission miserably, but at least I recovered from my mistakes this time. And in doing so, I got my first glimpse of what really makes Dishonored an evolutionary leap in stealth game design. I’ve been talking up Dishonored since I first laid eyes on it during its big reveal at QuakeCon a year ago. I love the developer, the art direction, the world, and the ideas behind the game. Though, I worried Arkane wouldn’t be able to pull it altogether, making another heavily flawed classic like its previous release Dark Messiah of Might and Magic -- a game few love but the few that do love it dearly (I include myself in that group). Unlike the E3 demo, this new QuakeCon preview had higher stakes involved, more narrative elements, and worked as a great display for the lavish lives of Dishonored’s wealthy citizens. Halfway through the game you need to enter the estate of Lady Boyle and assassinate her, while guests and friends party below. You can either masquerade and find Boyle through dialogue and other clues or you can brute force your way, killing everyone on sight. 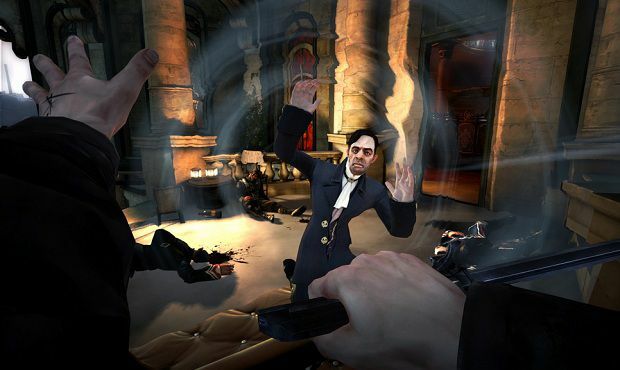 Though Dishonored is a linear game in a narrative sense, each missions gives the player numerous ways of approach and side goals to satisfy. Right from the start, I needed to make a choice as I stood on top on a boat in a canal far away from the party: Do I teleport from rooftop to rooftop, do I take to the shadows of the streets, or do I become a fish? Becoming a fish isn’t the most obvious option but I’ve seen enough Dishonored preview videos at this point that its advantages were clear enough for me. Through this method, I entered the party with minimal conflict. Those two maids? Don’t worry: I sent a horde of rats to eat them alive. I was later told it wasn’t necessary. Oops! Once within the party, I went to the courtyard to meet a contact and deliver a letter (an optional side objective). Turns out that letter was an invitation to a duel … with me. Being the savvy Dishonored player I’ve become, I used the Bend Time ability to slow time and get an unfair advantage in the pistol duel. The contact’s cronies shouted “witchcraft!” but weren’t hot-headed enough to fight me after killing their “friend.” They just kind of talked a load of crap about the recently deceased. It’s a small thing but this bizarre side quest and its outcome tells you a lot about the brutal world of Dishonored, where no man is in control for long. That includes me. Oh, did I forget to mention how I set off alarms at the party and repeatedly died in battle with the guards? Well I did, so returning to the interior of the building was no cakewalk. I made a hot mess of the situation. I would have reloaded to the beginning if this weren’t a scheduled demo, but I’m glad I didn’t. In other games, you’d be stuck in this awful situation, forced to make the most of a stealth game’s sub-par combat. Not the case here. Taking down the horde of guards wasn’t completely unreasonable, though it made the “normal” difficulty I chose feel like “very hard”. By blocking with my sword, throwing grenades, and firing my pistol, I was able to kill a good number of them but even that wouldn’t get me upstairs -- where Lady Boyle, my target, now cowered. After growing tired of dying, I changed my plans. I would enter the building, quickly teleport out of enemy sight, and possess a guard which let me walk past all barriers without setting off an alarm or being electrocuted. It worked. Now upstairs, I was free to loot the rich for coin, notebooks (some of these are lengthy, recalling Skyrim), and potions. The real goal was finding Lady Boyle, which wasn’t hard to do with my ability to see through walls. A couple minutes later, I killed my target in a brutal scene that was hard to watch. My mission had been done, now all I had to do was use the secret bedroom passage to leave the area and get back to my boat. Though a lot of this demo is missing context, there was still much to appreciate. The art direction, dialog, and presentation are of a caliber you rarely see in games. 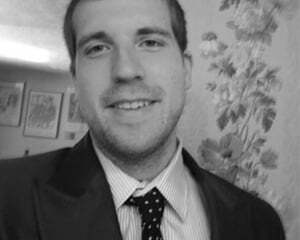 Most developers rather focus the time it takes to build a truly original world on making a multiplayer component. Most developers aren’t willing to show off demos that offer so many possibilities -- so many ways to screw yourself over. Arkane isn’t like most developers and Dishonored isn’t like most games. It will be an uphill battle convincing the mainstream that the game becomes approachable in time, but for us core gamers, we are in for a rare treat that blends action and stealth in a way we’ve never seen before.